The Small Household Appliances segment includes food processors and small appliances of all kinds, as well as vacuum cleaners, toasters, irons and other utensils. The worldwide revenue of US$34 billion in 2017 is expected to increase to US$36 billion by 2021. The household appliances market has been heavily influenced by the increasing awareness of the climate in recent years, with many consumers choosing energy and resource efficient products. In addition, innovations such as smart home and smart appliances are driving the market growth. Significant factors in the steady growth of the Small Appliances segment are higher consumer incomes and a higher quality of life. In addition, in recent years, consumers have become more willing to buy more and high-priced equipment. This report from the series of Consumer Market Outlook segment reports gives an overview of the small appliances market from an international perspective. 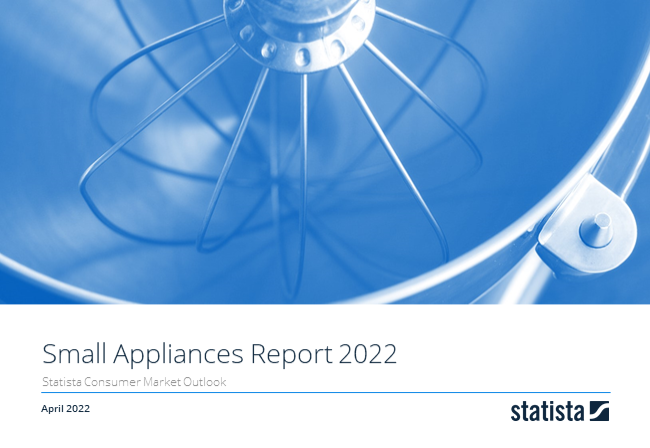 You can find further information on the topic on Consumer Market Outlook/Small Appliances.